The Spartans were renowned throughout the ancient world for their military prowess and disciplined lifestyle. They did not win every battle, but they did beat back larger forces to defend their homelands time and time again. This ability came down to their dedication to preparedness, their whole society was geared towards it. Spartan men and women were trained from a young age to respect the community as a whole and dedicate themselves towards its preservation. This included training in warfare, foraging, adaptation, and conditioning oneself to hardship. They were in effect a nation of preppers! No wonder they were respected by their fellow Greeks! Today we idolize the Spartans for their strength and discipline in books, movies, slogans, and more. But what can we learn from their culture of preparedness? At age 7 Spartan children left their families to join the Agoge. This was a training program for both boys and girls that tested their strength and wills as well as taught them the skills they needed to serve Sparta as they came of age. The Agoge was renowned throughout the ancient world and powerful families from friendly nations vied to secure a place for their own children for 1-2 year stints. Male Spartans had to endure thorough physical training to prepare them for war campaigns and the hardships of living in the field. Looking at the Agoge program that every boy Spartan had to pass through gives us some great insights into their mindset of preparedness. There are a lot of elements within it that we can draw upon when looking at how we prepare today as well as how we instill this mindset into our children. An especially important element of Agoge training was being taught to endure pain and hardship. Students were often made to suffer hunger, thirst, cold, fatigue and lack of sleep. Spartan boys were made to walk long distances without shoes, bath at the cold waters of the river Eurotas and wear the same piece of clothing year round. This was meant to condition them to the realities of wartime and is a valuable example for us today. When prepping, being conditioned to hardship is a valuable asset. If you have to be on the move day after day evacuating from a disaster or terrorist act you will you be slowed down because you are cold, hungry, or your feet hurt? Are you ready for the hardship imposed by the removal of everything that is comfortable in your life? In order to be truly prepared we have to ready ourselves for such deprivation. To be a Spartan boy going through the Agoge was to always be tired and hungry. In addition to the harsh physical training, they were constantly being underfed. To get the nutrition they needed the boys were encouraged by their teachers to forage from the world around them and steal from the kitchens. However, if they were caught stealing – even though it was encouraged – they were severely beaten as a punishment for failure. For modern day preppers this shows how important it was seen to be able to feed yourself while on the move. Would you be able to feed yourself in the absence of a grocery store? Do you think you could liberate food from a watchful source without being caught if your life depended on it? Even if they were able to fill their bellies, they still had an uncomfortable night ahead of them. This is because in their barracks, Spartan boys were not even allowed to have blankets to keep them warm at night. They slept on top of straw and reeds, which they gathered without knives from riverbanks, strengthening (and scarring) their hands in the process. While this requirement would toughen up their limbs it would also show the value of using the environment around you to make what you needed. For us today we can look to our shelter building skills to emulate the Spartans. Are you able to build a shelter by hand in the wilderness? Keeping warm and dry after a day of hard walking gives you the opportunity to recuperate so you can be mobile again the next day. Shelter building with scavenged materials is an essential skill that all preppers should master. This program was aimed at building female Spartans into good citizens able to serve the state. Additionally their training prepared them for the mental hardship of being separated from their fathers, brothers, and children while they were off on campaigns. If you are ever caught in a situation where you have to bug out you will surely be put to the test physically. Just having your bug out bag packed and ready to go will not be enough, you need to actually be able to carry it until you reach safety. The Spartans put a huge emphasis on physical fitness in both in the Agoge training and throughout their entire culture. Both men and women were expected to maintain their fitness during their entire lives. This emphasis helped define the Spartan soldier and enabled them to march for longer and fight harder, even against overwhelming odds. The Spartans won a great many of the ancient Olympic Games due to this commitment to physical fitness. How Can We Train Ourselves? So, how can we use this as inspiration for our own prepping? As with any challenge we need to train harder than we expect to have to endure when the test comes. This may mean taking your bug out bag for a walk on weekends to condition yourself to carrying it. If that proves difficult try just going for a hike without it until you can build up your strength to carry the load. My old mixed martial arts coach used to say, “sweat in the gym so you don’t bleed in the street” which captures this mindset perfectly. For Spartans, their dedication led to a lifetime of service. All males who passed through the Agoge lived in state owned barracks and continued to serve in the army until age 60. They continued their own training and once experienced, the training of the next generation for basically their entire lives. From age 7 to age 60, ALL Spartan males would relentlessly dedicate themselves to the prosperity and preparedness of their nation. Today as a nation we are obviously very far from this single minded focus. But, on an individual level can we seek to emulate this dedication? Would you start training your children at age 7 to serve the interests of your family day in and day out until age 60? Can we instill the proper mindset and pass essential skills and knowledge on to them in the face of our own distractible and fragmented culture? I know I will be trying to do so with my own children, it seems to be an immensely worthwhile investment. I will try to lead by example and show them the way. Looking at these examples we can clearly see why the Spartans were respected among the ancient world and are still looked up to today. Their level of dedication and preparedness was truly impressive. The rigorous training they practiced and widespread commitment would be impossible to replicate for most modern day Americans. 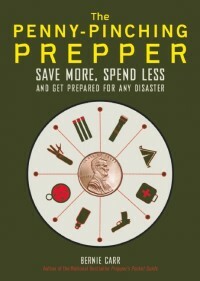 It is however this mindset that preppers seek to emulate. In the modern world we can still train our bodies and minds to endure hardship, overcome mental and physical obstacles, and pass these values on to the next generation. Dedicate yourself to this as the Spartans did and you will be able to face any challenges that get in your way. Do you have a way of preparing that would make the Spartans proud? How do you prepare yourself physically and mentally to face hardships? Let us know in the Comments Section below, thanks! Chris writes the Bug Out Bag Guide website. He created this site to help ordinary people prepare for the uncertainties of the modern day world. This may mean making a bug out plan for you and your neighbors or simply packing some EDC items to take to work with you. 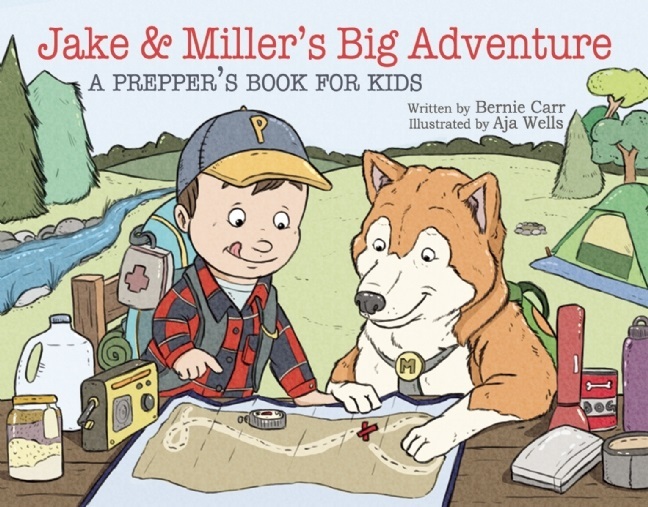 Either way a well prepared society is the best safeguard against any natural or man-made disaster. Train like a Spartan. Train the Power Lifts, the Squat, the Bench Press & the DeadLift. All good moves to add to a workout. Thanks for the comment! I understand the point you were trying to make, but the Spartans were hardly an admirable society. Don’t forget that the Spartans also abandoned to exposure any baby that was born less than perfect. They encouraged violent hazing and infighting among their young male soldier trainees. They were able to maintain a single-minded devotion to fitness and war because they had a large underclass of helots who did the day-to-day survival work of raising food and other manual labor. These helots were the targets of hunt-and-kill missions for Spartan young military men to teach the helots their place and discourage rebellion. Yes, the physical training the Spartan upper class went through was quite rigorous and admirable. However, it was achieved at a significant price, morally and socially.